Earlier this month ‘Freaks Have More Fun’ made its way into the Top 5 of the Beatport Top 100 download chart. 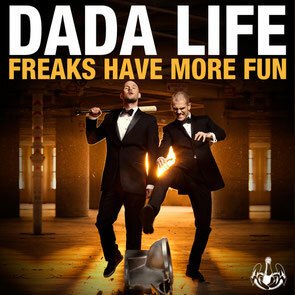 Now the latest single to come from Dada Life, ‘Freaks Have More Fun’, is now available worldwide on iTunes. In keeping with their style, the duo are giving away the vocal stem from the track on SoundCloud free, and for the very first time, Olle Corneer and Stefan Engblom have allowed their set from ‘Dada Life: The Voyage’ to be recorded in full and available to all on YouTube. 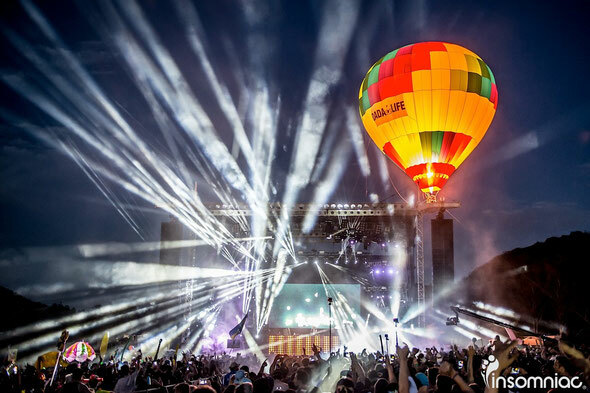 The event, which featured two sets from the Swedes themselves, support from Madeon, Morgan Page, Oliver Heldens, Andybody, plus a dramatic entrance in front of a crowd of thousands via hot air balloon, was captured earlier this year and will go live at 12pm PST on Monday 24 November on the official Dada Life YouTube channel (www.youtube.com/dadalife). Support for ‘Freaks Have More Fun’, which is a return to their earlier, harder roots, has been good, with artists including Tiësto, Sander van Doorn, Bingo Players, Martin Garrix, NERVO, Laidback Luke, Funkagenda, Dyro, Thomas Gold, Deniz Koyu, Justin Prime, Cash Cash, Joachim Garraud, Jesse Voorn, Bassjackers, EDX, Swanky Tunes and more all playing the track.